The theory is that goal-oriented art education in Finland is provided for all residents nationwide, at school and through government-subsidised institutions. But in the Sámi homeland in the far north of Finland this is not always the case. In the field of music, this failing is being addressed through the Sámi music adult education project, supported by the European Social Fund. The Sámi homeland is a long way from Helsinki. Inari, for instance, is more than 1,100 km from Helsinki, and communities within the region are few and far apart. It is thus something of a challenge to extend national art education to the Sámi, the only recognised indigenous people in the European Union. 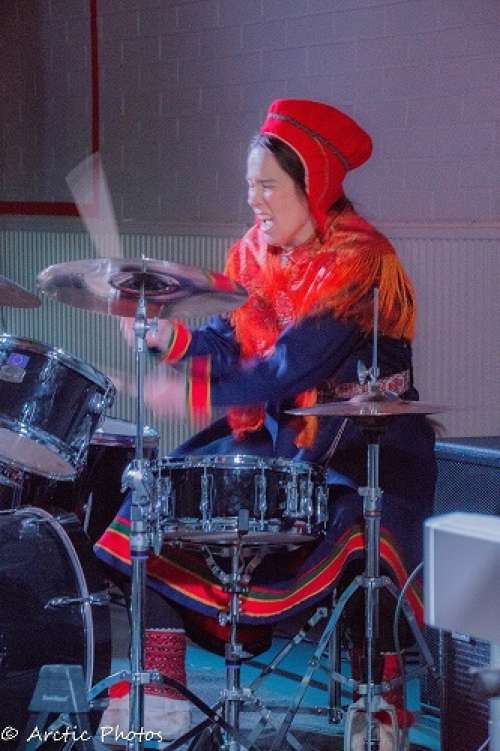 In the Sámi homeland, there are more learning opportunities for traditional Sámi music such as the yoik than for the theory or instruments of Western music. “From the very first, the idea of this adult education project was not just to study Sámi music. What we are doing in Sámi music involves university-level studies, while in other subjects we are closer to the music-institute level,” explains Anna Näkkäläjärvi-Länsman. The special focus on Sámi music includes courses given by teachers such as Ulla Pirttijärvi-Länsman and Annukka Hirvasvuopio-Laiti. Students have particularly enjoyed a sub-project entitled Kadonneen joiun jäljillä [Searching for the lost yoiks], led by Professor Vuokko Hirvonen from the Sámi University of Applied Sciences at Kautokeino. “This course had the students exploring their own family roots through archival research and interviews and then searching for lost yoiks. There is a revival aspect to this, and we aim to perform the rediscovered yoiks at our concluding concert in the spring,” says Anna Näkkäläjärvi-Länsman. The Sámi music adult education project has produced positive results. Many of its first-year students have sought further studies in music, such as Hilda Länsman, now in a GloMas degree programme at the Sibelius Academy. She is a promising talent who has also appeared in Finland’s national Eurovision qualifiers. Launched in 2015, the ESF-funded project will conclude in July 2017. No one knows what will happen next. “We should be exploring frameworks for permanent funding and for completing qualifications, and we should be thinking about how this training fits into the bigger picture of Finnish music education. We’ve given this concept a road test with EU funding, and now we need to create something more permanent,” says Anna Näkkäläjärvi-Länsman. Collaboration with the Sibelius Academy, established in the ArtsEqual project (see also the FMQ article), is only just getting under way. Näkkäläjärvi-Länsman and ArtsEqual researcher Alexis Kallio have thought about how both parties might benefit from continued collaboration. “The only thing that’s certain is that the Wonder Bus X tour, an art education project of the University of the Arts Helsinki, will be heading north in August 2017, bringing some of the smallest schools in the Sámi homeland a taste of what music education can be like.” The bus of the title carries students and teachers from the University of the Arts Helsinki to regional schools to give workshops and organise inspiring arts events. The Ánnamáret Ensemble includes some of the most prominent names in Finnish modern folk music, such as accordionist Johanna Juhola and bass player Ilkka Heinonen. The band released their second album last summer, to a highly positive reception. The band’s music is rooted in Finnish modern folk music but has lyrics in North Sámi, striking and evocative as in traditional yoiks. “Walking on thin ice / I heard it, the ice crackling / And I didn’t dare to tell the world / I had heard / The ice nearly breaks under your feet”; those are the entire lyrics of the song Rášes jieŋaid nalde. “We gave the album launch concert at the Sámi Culture Centre Sajos in Inari. I have been involved in planning the operations of the Centre since its early years. I was a bit anxious, because my musical expression has changed over the years, and some of the lyrics are really quite political. But I discovered that it was not only I who believed in them: the Sámi community identified their own voice in them. 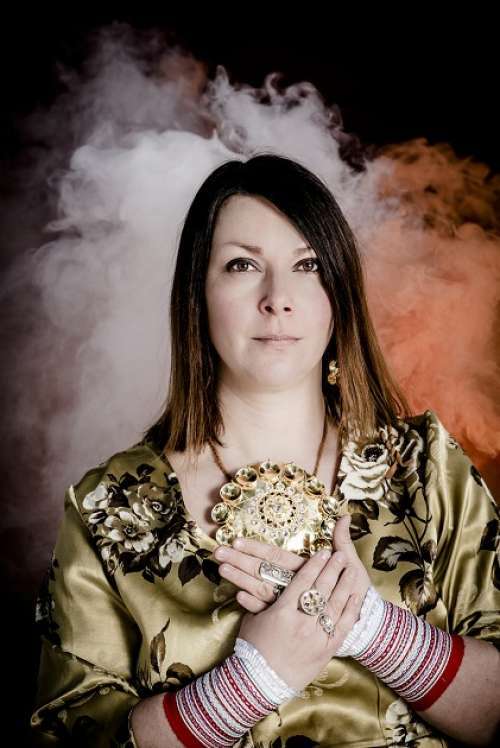 “I try to introduce a Sámi idiom into folk music, particularly in voice production. There is a certain Sámi aesthetic in my lyrics, nothing is expressed too directly,” says Anna Näkkäläjärvi-Länsman. The Sámi music adult education project on Facebook. See also the review of Ulla Pirttijärvi & Ulda’s album Roijk.